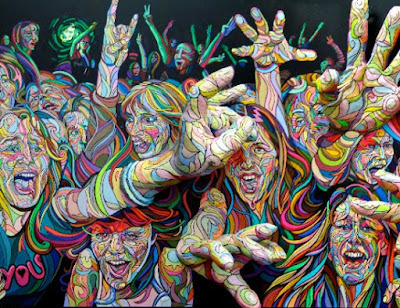 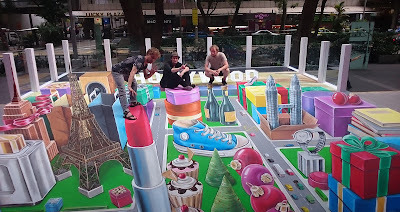 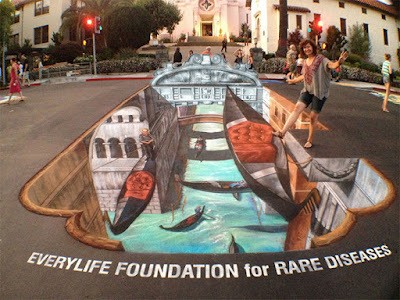 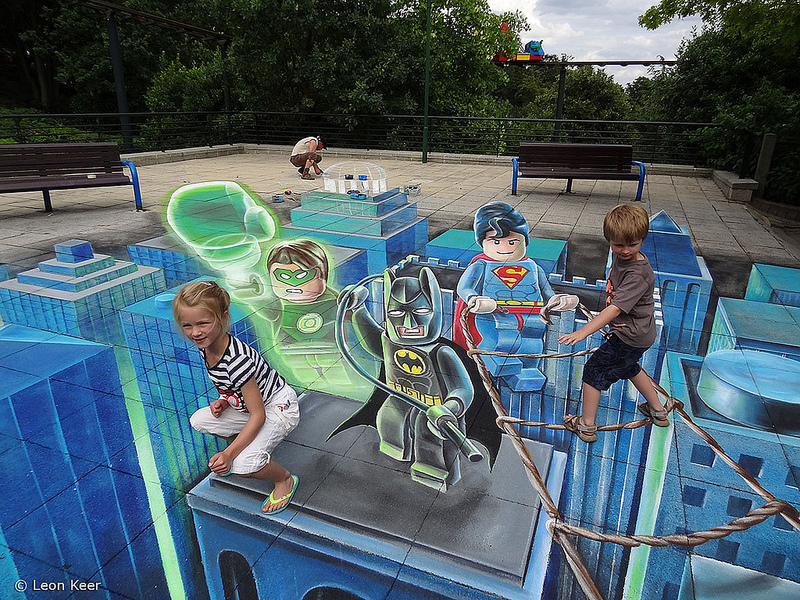 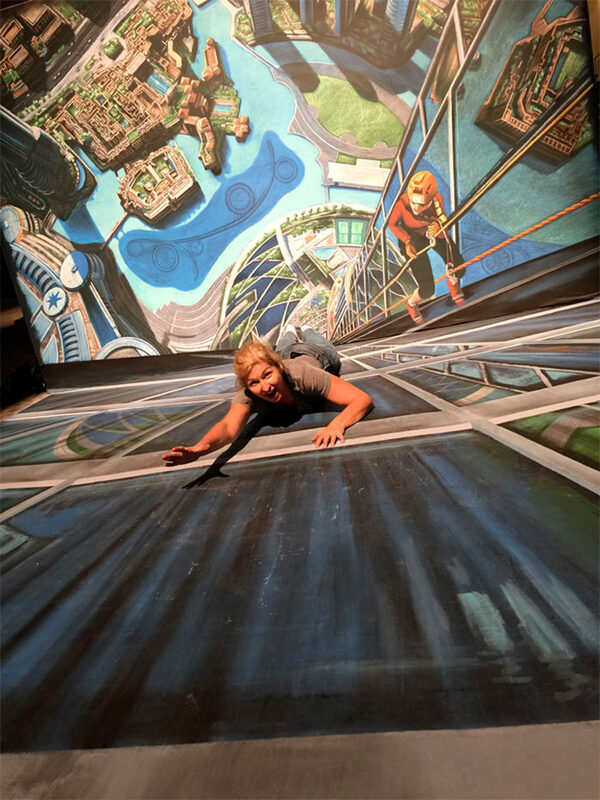 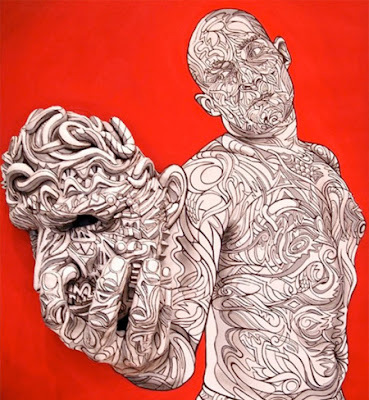 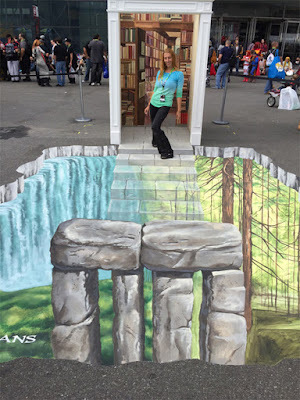 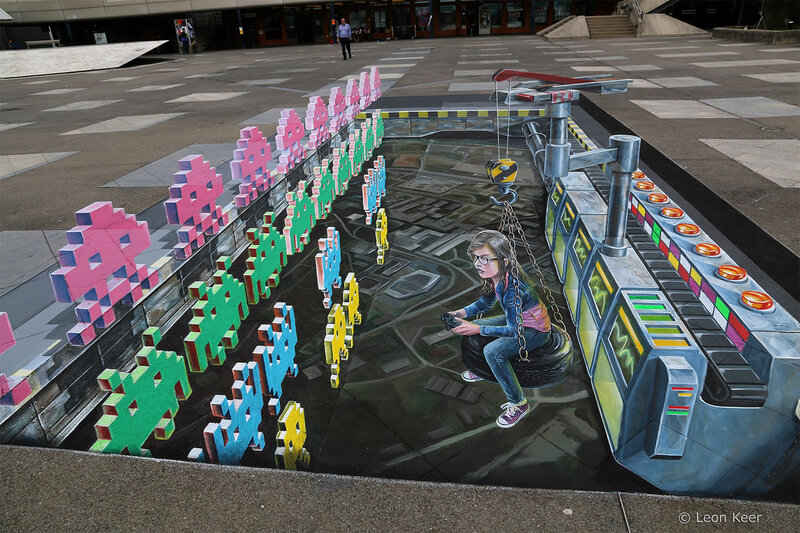 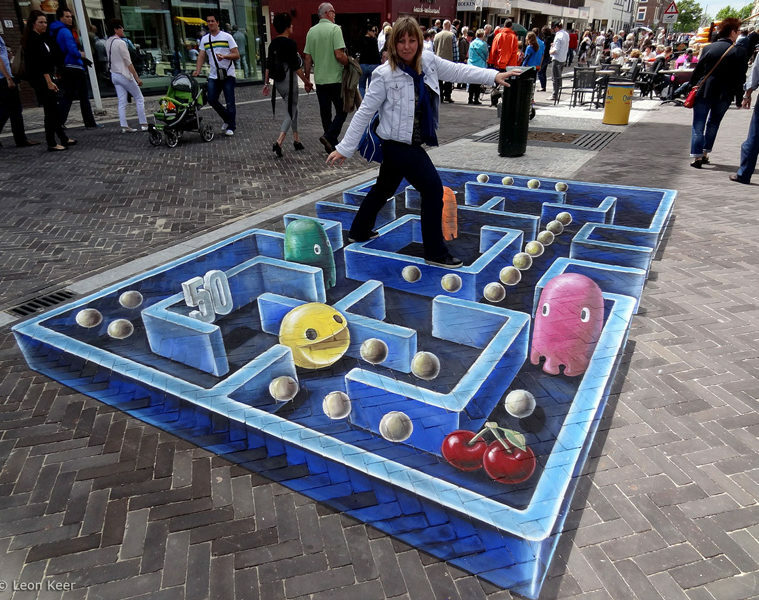 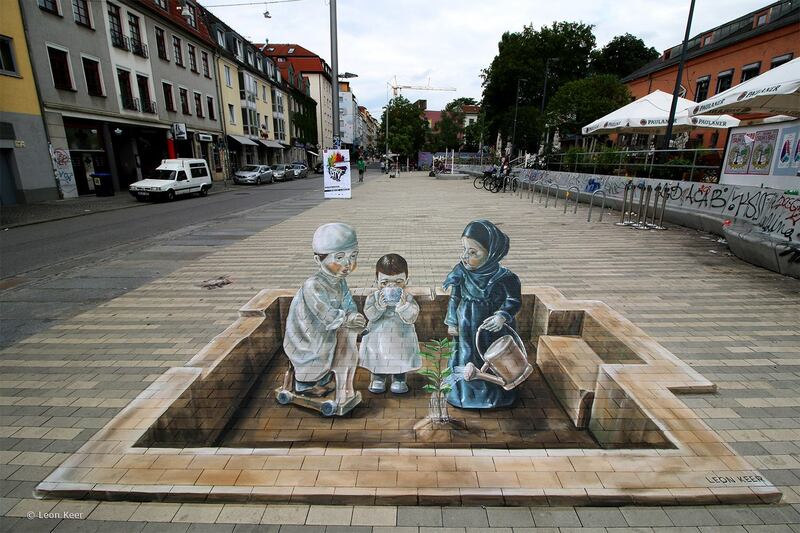 Tracy Lee Stum is an American artist best known for her 3D street paintings or chalk drawings. 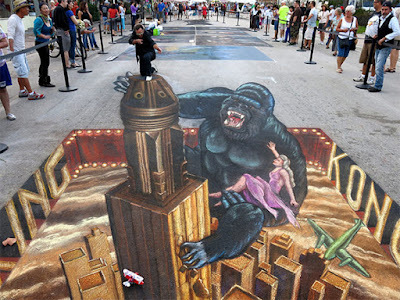 She at one point held the Guinness World Record for the Largest Chalk Painting by an Individual. 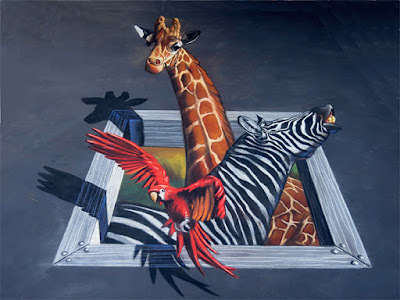 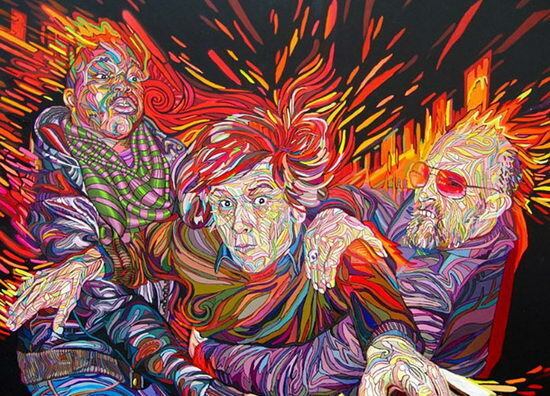 A visionary and master in the chalk art world, Tracy’s mind-blowing dimensional images continue to ‘wow’, inspire and amaze viewers around the globe! 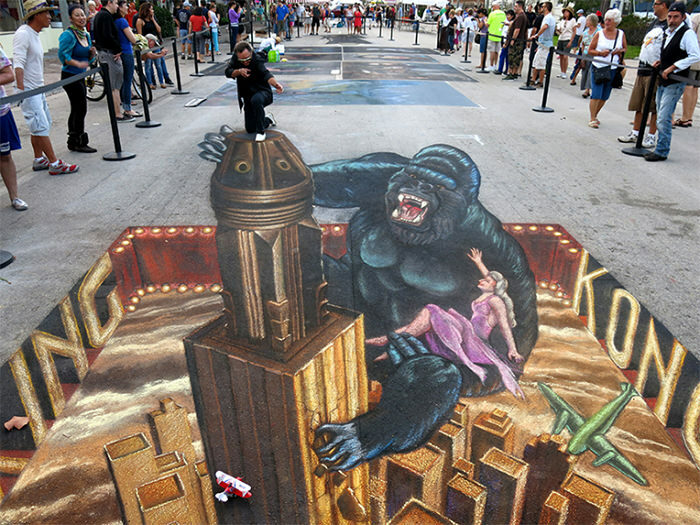 Tracy began street painting in 1998 and is considered by Madonnari peers, festival directors and viewers among the finest street painters today. 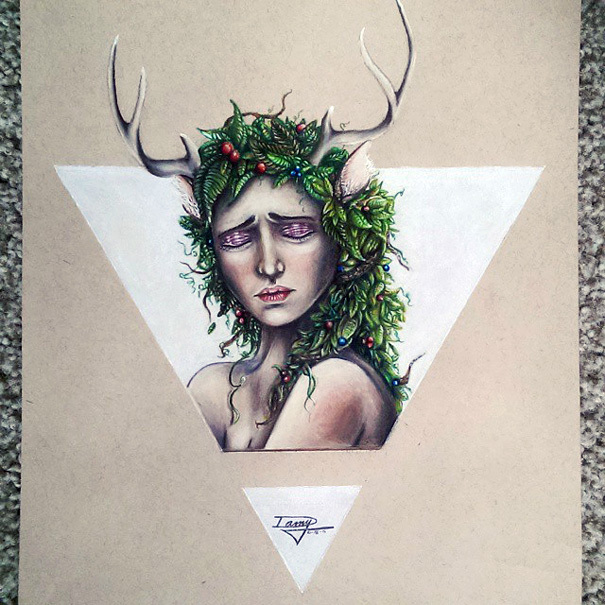 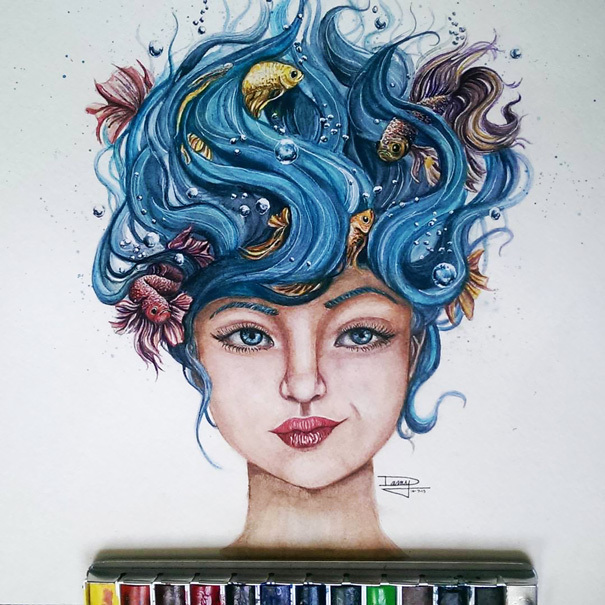 Dany Lizeth, a creative and talented 17-year-old in Mexico, creates expertly detailed and beautifully colorful drawings of animals and people using watercolors and colored pencils. 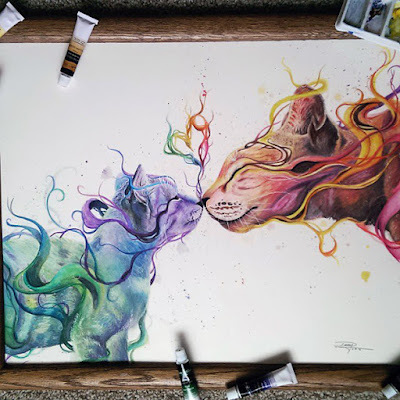 What’s even more impressive than her amazing talent at such a young age, however, is that she taught herself how to draw and paint so good. 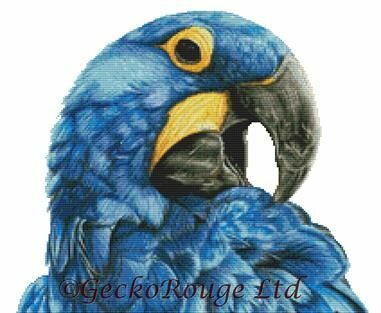 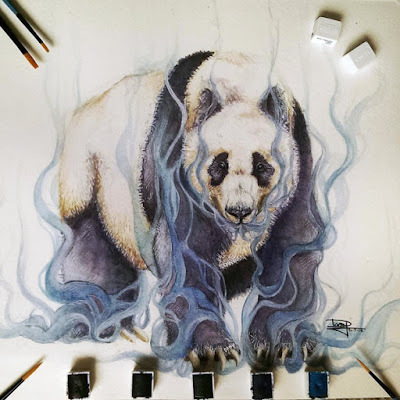 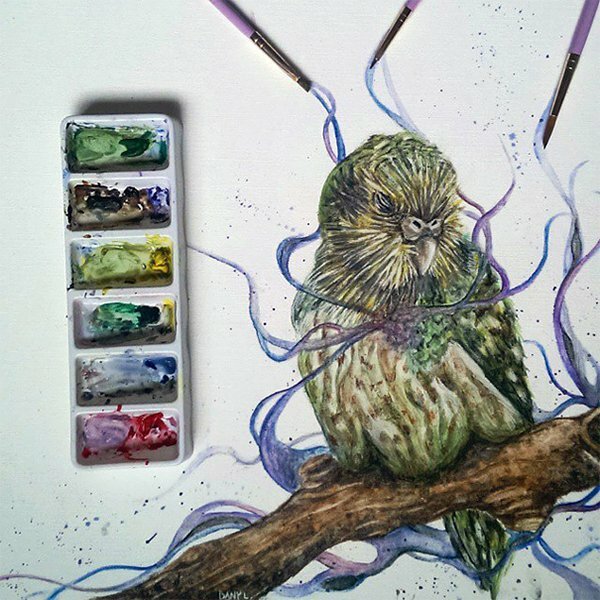 She makes artfully precise and stunningly vibrant drawings of animals and humans making use of watercolors and colored pencils. 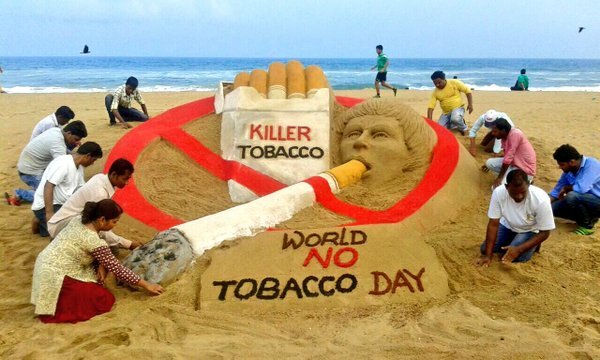 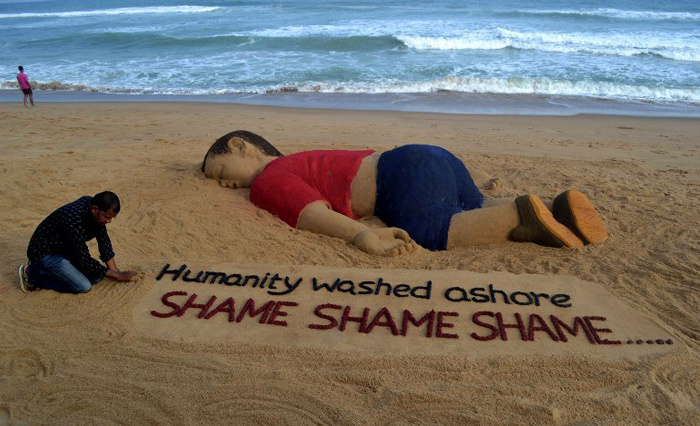 Sudarsan Pattnaik is an Indian sand artist from Odisha. 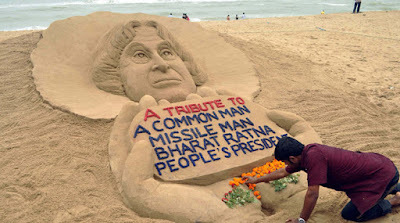 He was awarded the Padma Shri by Government of India in 2014. 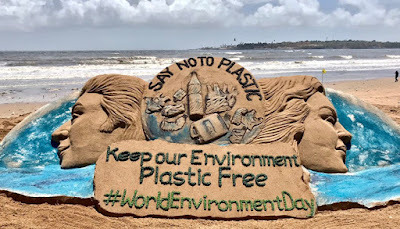 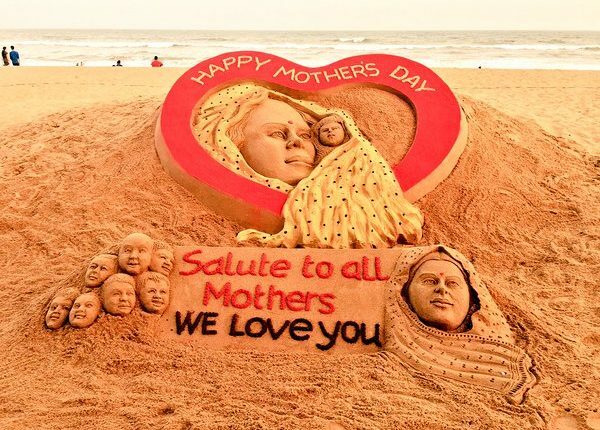 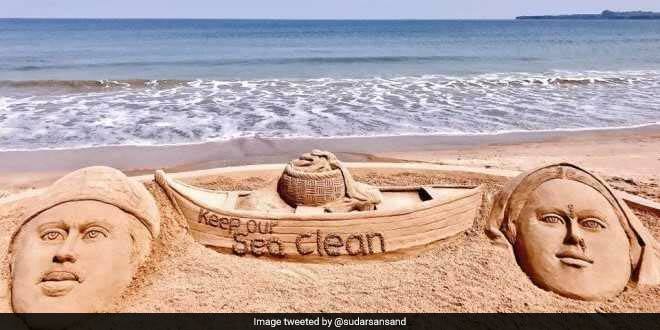 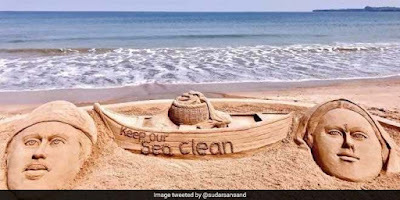 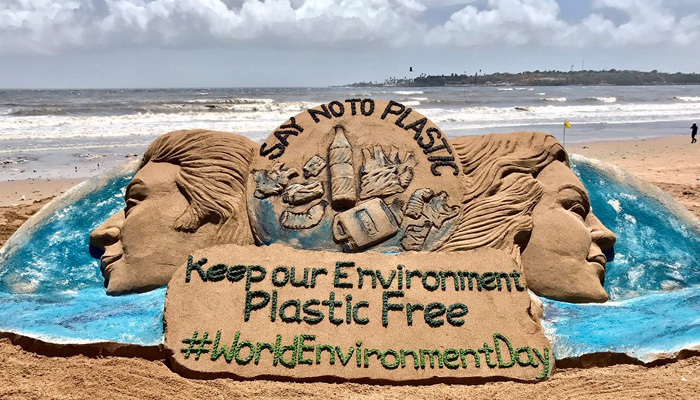 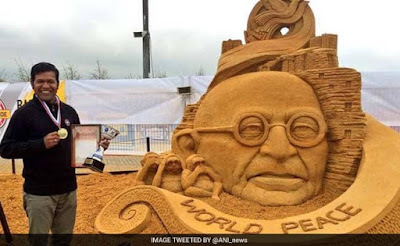 Sudarsan has represented India in 60 international Sand Sculpture championship and festivals all around the world and Won 27 championship prizes for the country. In 2008 he won the World champion title at USF World sand sculpture championship, Berlin. 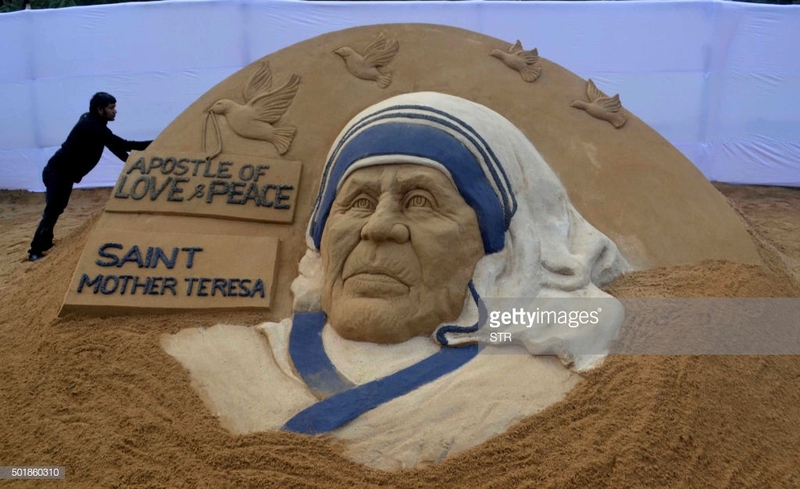 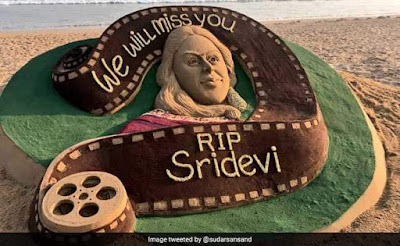 Pattnaik made a beautiful sand sculpture dedicated to India’s cricket captain and the Bollywood actress that depicts their professions with a film reel around a bat. 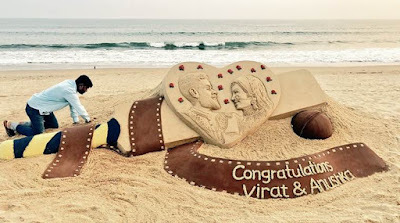 The artist also drew images of Kohli and Anushka in a heart-shaped structure with roses. 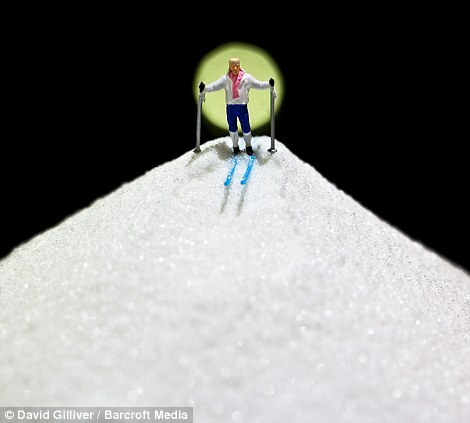 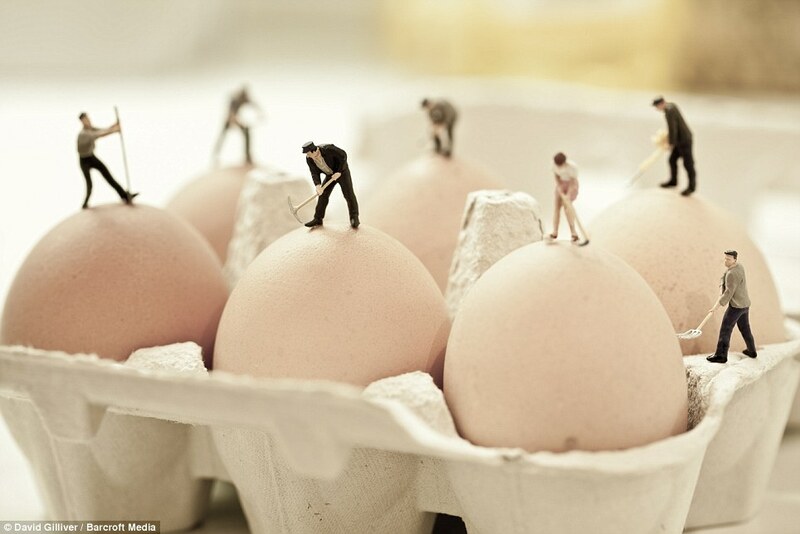 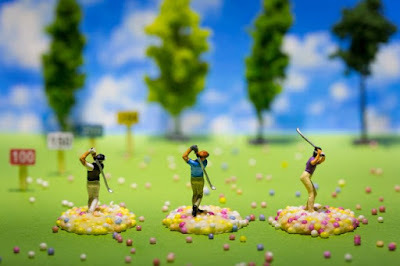 A series of surreal scenarios are all part of the world of 'Little People' captured by Scottish artist David Gilliver. 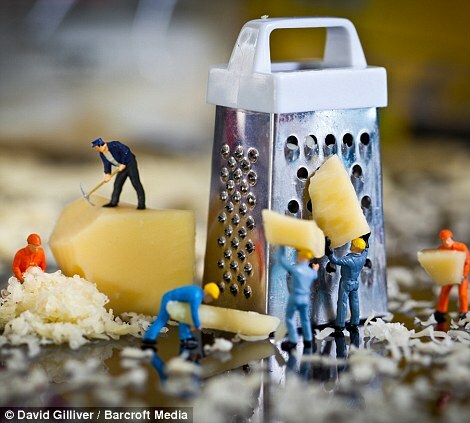 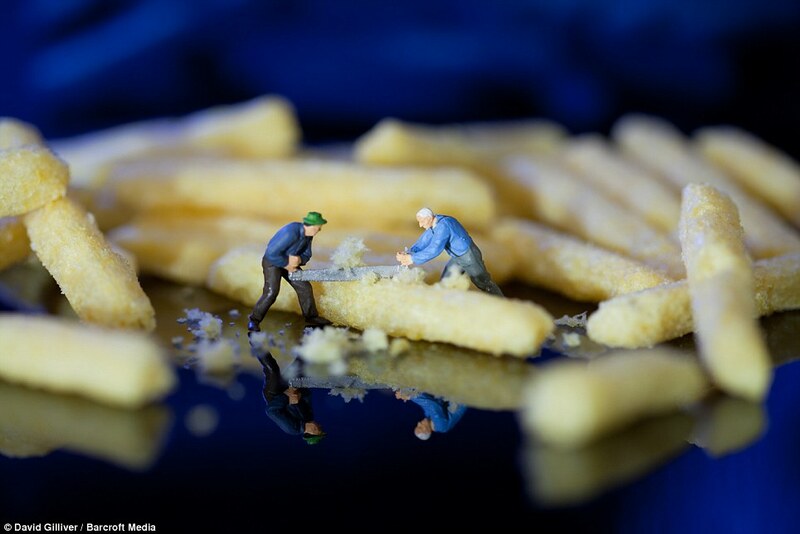 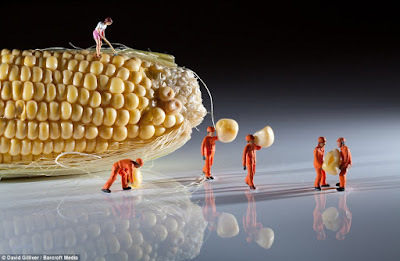 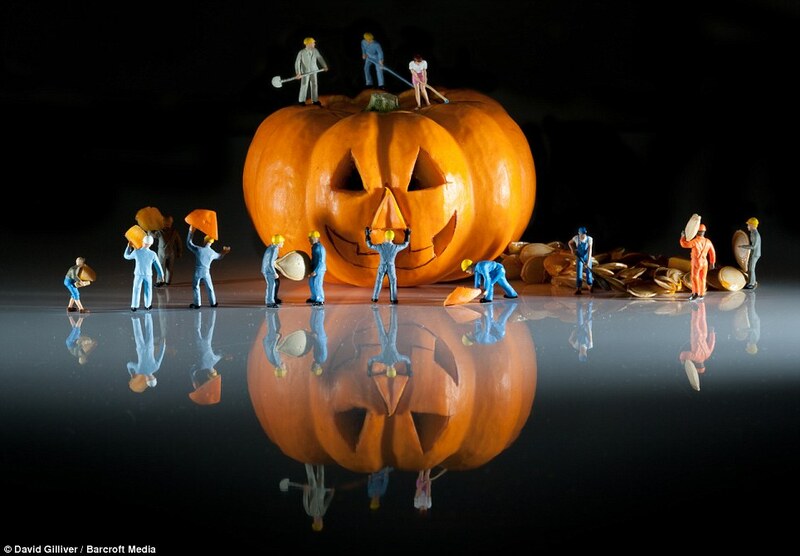 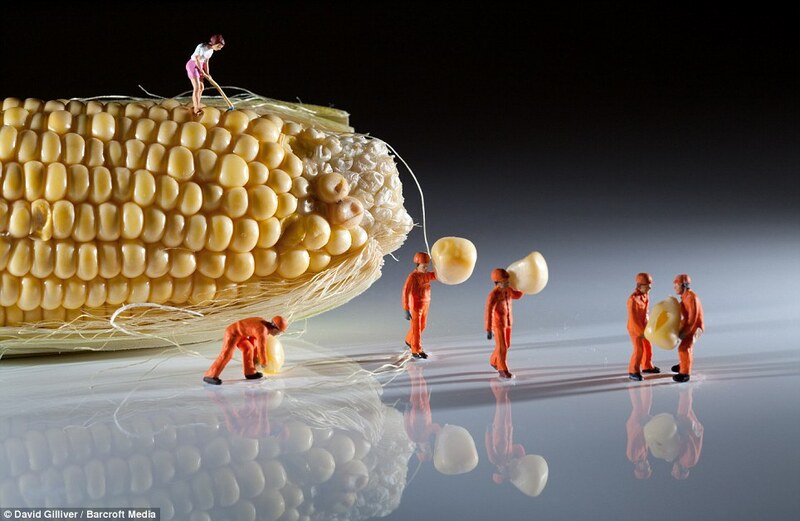 The Glasgow-based professional photographer, 36, spends hours posing and shooting the two centimetres tall figurines among various everyday food and household products. 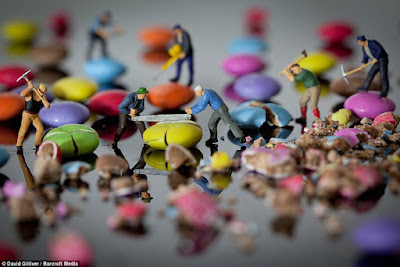 Gilliver, a Guernsey-based finance worker, spends hours scouring the internet for the miniature figurines, before setting up the surreal scenarios. 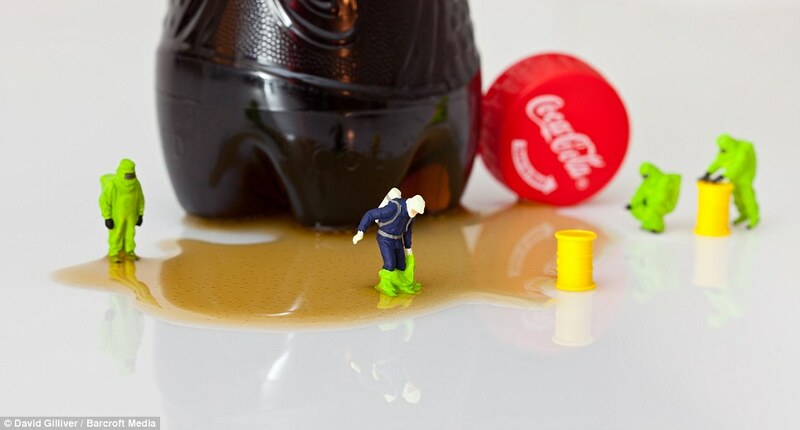 Each scenario takes Gilliver around 90 minutes to set up and photograph. 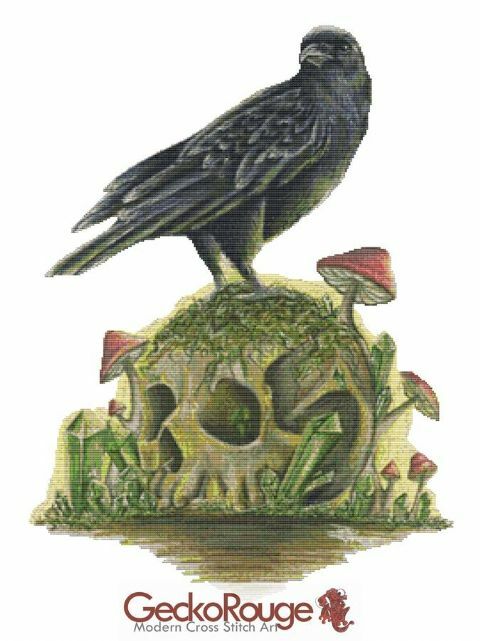 He started creating the miniature dioramas over 10 years ago during his Fine Art Photography degree at the Glasgow School of Art. 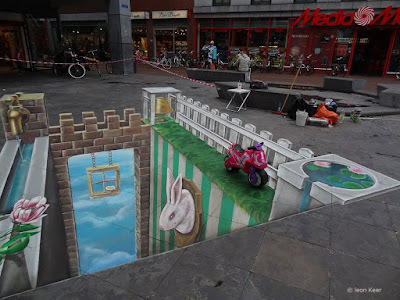 Leon Keer (born 1980, Utrecht, Netherlands) is a Dutch pop-surrealist artist. 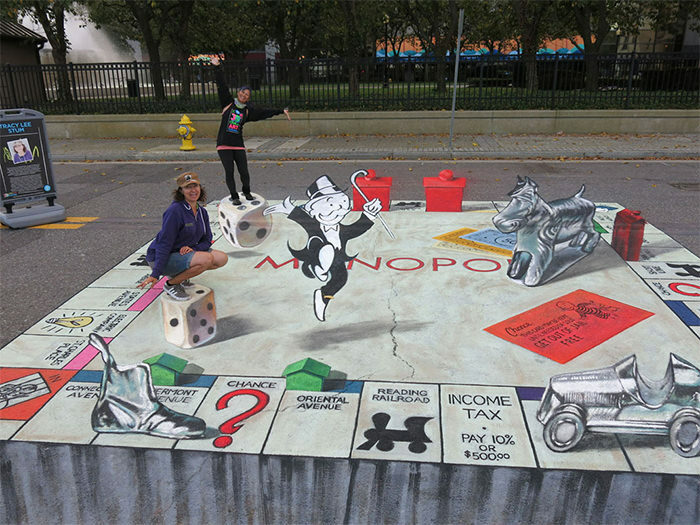 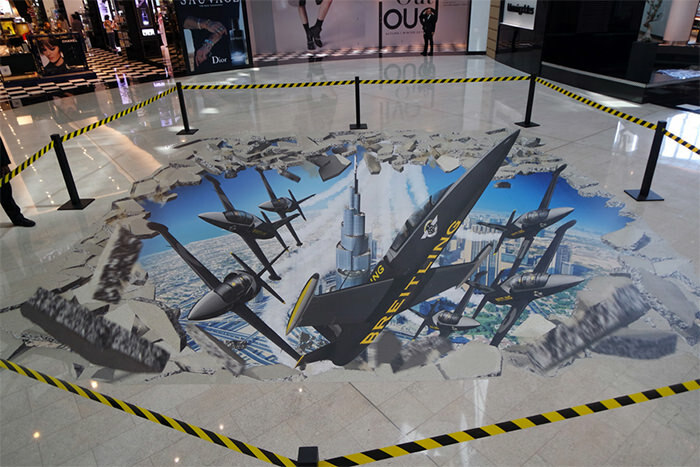 He has created work on canvas and (3D) artwork on the streets across the world. 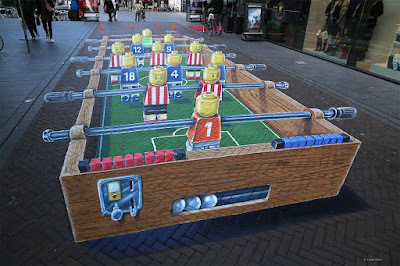 Leon Keer is a leading artist in anamorphic street art. 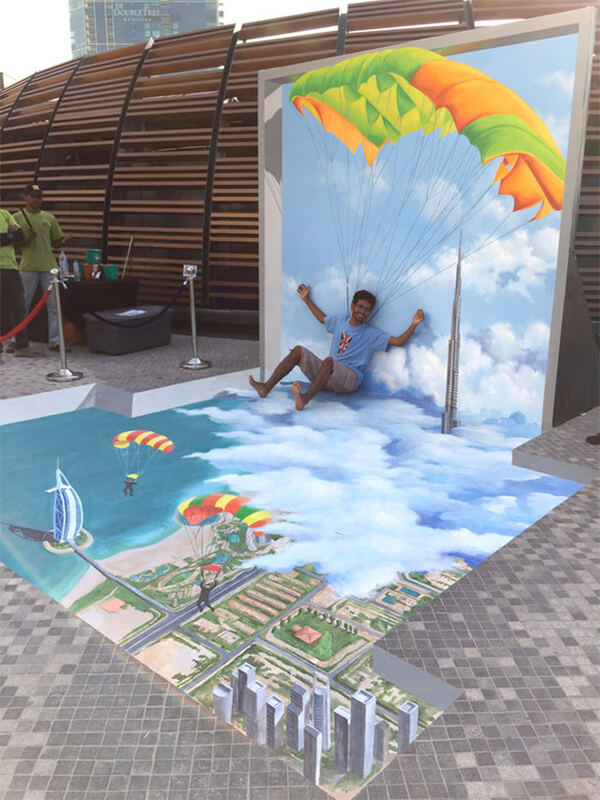 His art has been showcased in Europe, the United States, Russia, Mexico, the United Arab Emirates, Australia, New Zealand, and several Asian countries. 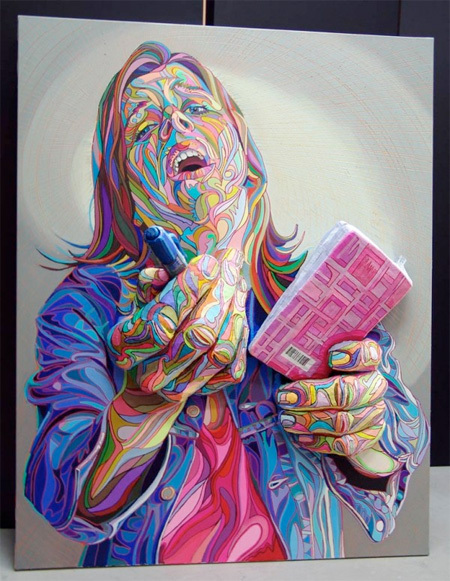 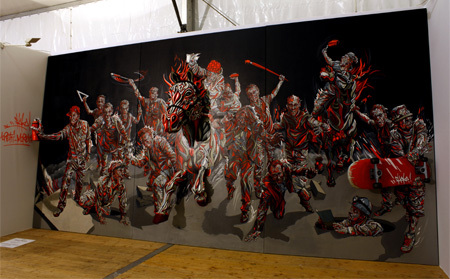 During his career Leon Keer often presented his art by live-action-painting performances. 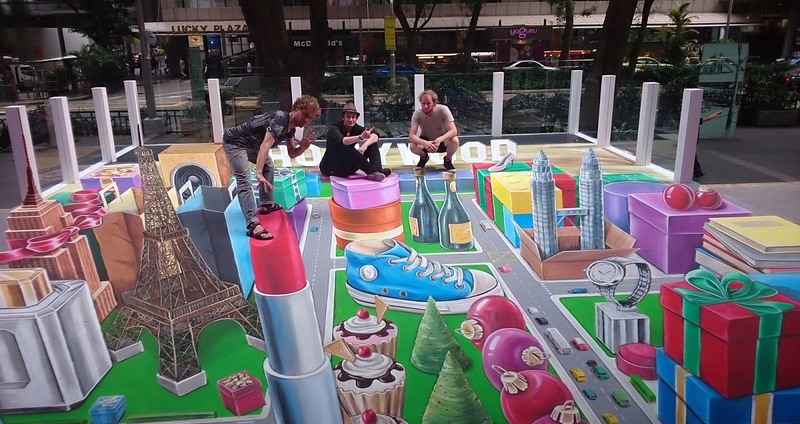 At this moment Leon Keer is a world leading artist in the anamorphic street art. 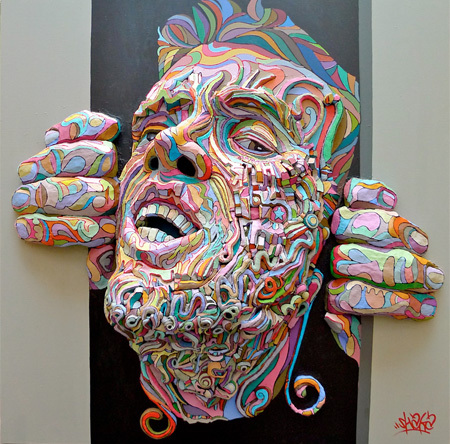 Shaka (Marchal Mithouard), is a French artist who started his career in street art, and has become famous through his singular technique: by incorporating elements that seem to be carved directly on the support, his works are coming out of the plane support and and seem to become three-dimensional. He is a great portraitist and fragments the faces to capture the "rawest" expressions and to highlight the absurdity of human behaviors. 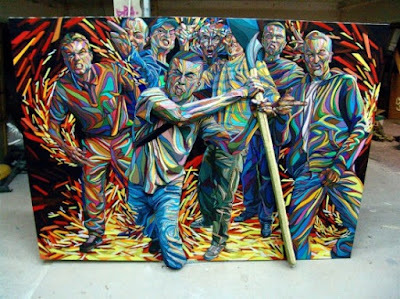 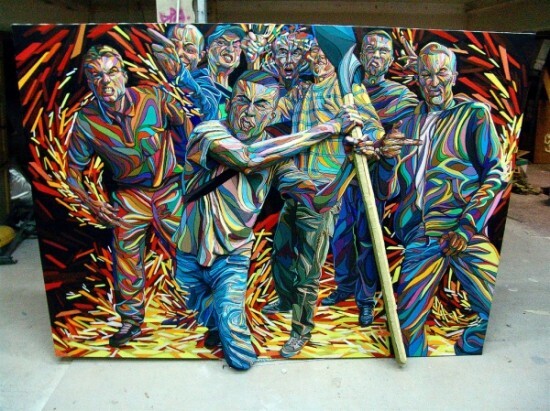 He creates amazing three-dimensional paintings. He sculpts the shapes of familiar objects directly on the canvas and covers them with layers of paint to create the desired 3D effect. 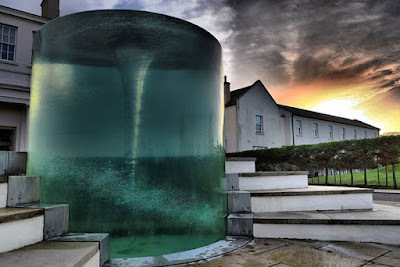 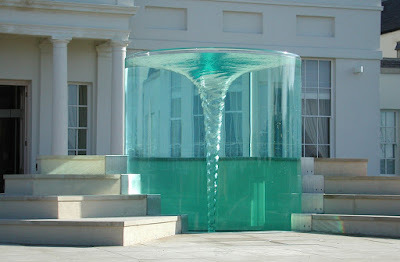 William Burns Pye (born 1938 in London) is a British sculptor known particularly for his water sculptures. 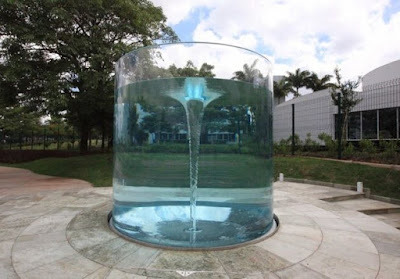 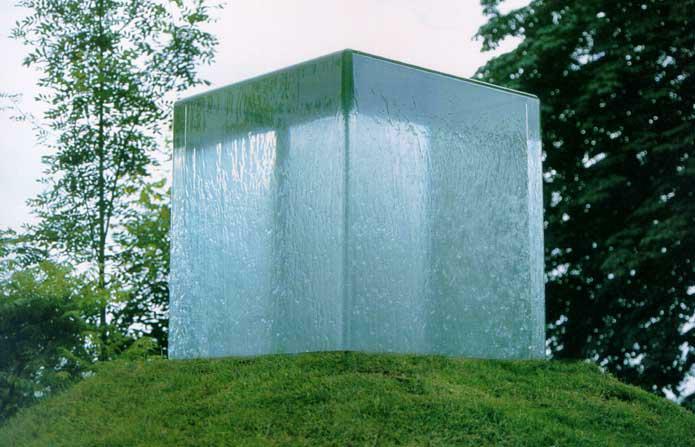 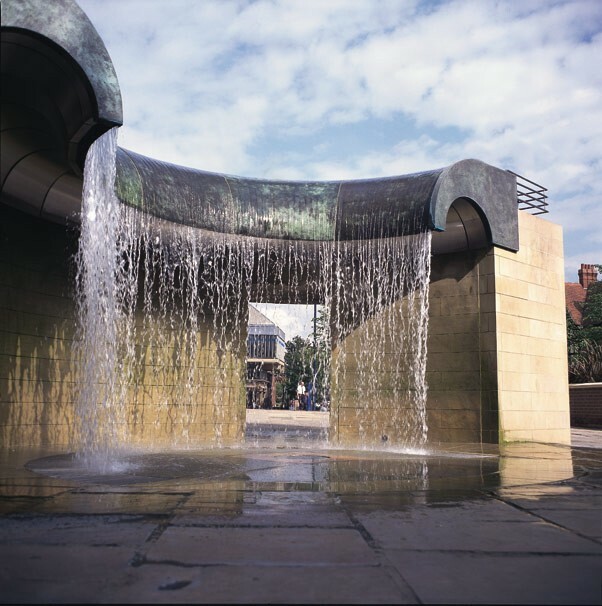 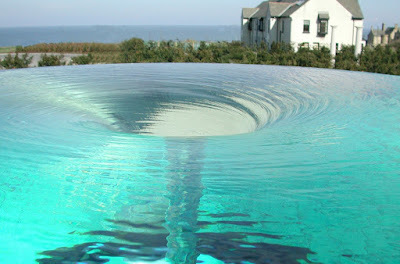 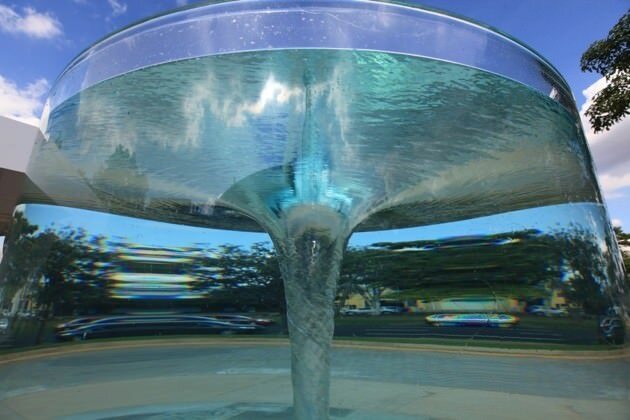 He started his career as a sculptor working mainly in stainless steel and cast bronze, and since the nineteen eighties water has become an integral element of most of his work. Having spent a large part of his childhood at his family’s country home in Surrey, Pye was endlessly fascinated by the water that abounded throughout the area. 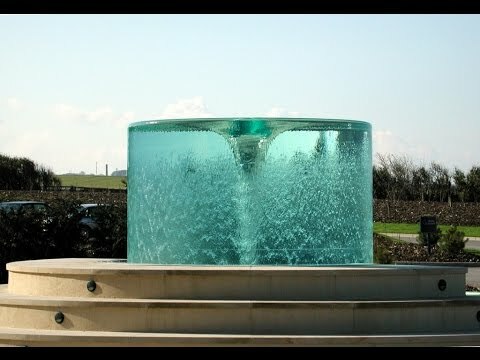 He captured on camera the local ponds and pools, reflections in still water and on in its rippled surfaces; he dammed streams to make cascades and recorded the way water reacted to his interventions.